What are your portraits made of? Our portraits are approximately 3/32” thick and made from a special grade of enameling steel. We then coat them twice with porcelain before we start our printing process. We are the only company that makes its specialty steel core bases in the United States. Our portraits are very strong and never fade. Do you use a Copy Machine to make the image? Absolutely not! That is the trend though. It's our opinion that you lose control of the color system and based on everything we've seen, they can't get the rich, vibrant colors out of a copy machine that we can with our system. It's cheaper but definitely not better. 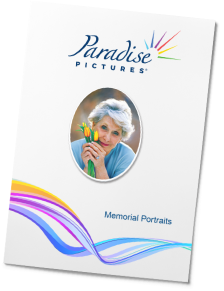 Your family's memories will live on – why not put the best color and clarity in the cemetery by using the Paradise Pictures Memorial Portrait? How do I clean hard water haze off of your portraits? The hard water spots are Calcium from the irrigation system. We recommend using a product called CLR. It’s made by Jelmar and can be found in most hardware stores. A few notes of caution: 1) please wear protective gear including eye protection and gloves, 2) use very little on a rag or sponge and keep it away from the sealant and the granite. We’ve even heard that after cleaning a portrait, some customers wax the portrait with car wax to slow the progression of hard water spots returning. How do I install your Memorial Portraits? Most of our customers mount our portraits in a shallow relief with pure silicone, epoxy or mortar mix. Stainless steel pins are available for surface mounting as well as high quality open and covered frames. Additionally, 3M™ VHB™ tape can be supplied upon request at no charge. May I order from you online? Yes. We created a great system that’s easy to use but very powerful when needed. You can log in anytime and check the status of your orders, reprint order forms and perform many other tasks. What is my login to your ParadiseOrders.com site? Your login will always be your Customer ID and remember your password is case sensitive. If you have forgotten your password, follow the Password Help link on the login page and input your Customer ID and click "Reset "Password." The primary user in our system will receive an e-mail to reset the password. 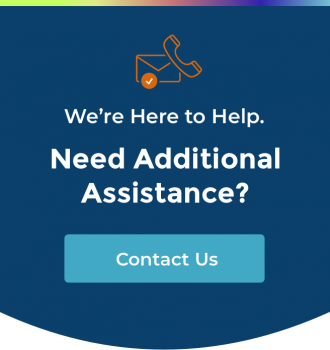 We can also help you on the phone. Please call us if you need us. May I order more than one portrait on the same order form? No. Please complete one order / order form for each portrait you need. Do you accept E-Mail orders? Yes. Please see all of our options on our How To Order page. Does Photograph size matter in the quality of my reproduction? Generally, yes. Larger photographs are preferred rather than smaller prints. If I mail you a photograph, what is the largest photograph you can accept? The largest photo we can scan is 12” x 17”. But hey, if you have a larger one, we’re up for the challenge. Send it in and we’ll figure it out. Will my photos be returned to me with my Memorial Portraits? Yes. We will return your original photos with your order. What is the best way to communicate the crop I want to you? Our order forms have the options of: Bust, Half Subject, Full Subject and Full Photo for selection. If you would like a more specific crop, we suggest that you photocopy the photograph and hand draw your desired crop on the photocopy. Include this drawing with your order as a hard copy or a digital scan. No. If you need a proof for a particular order, please check the “Please Proof My Order” within our online order system or write the word proof in the “Special Instructions” box on our order form. How do I get the Proof to my customer? Please log into ParadiseOrders.com and locate the proof, then click the download link at the bottom of the image. You can save the image and send it to your customer. There’s no need to approve or reject the proof at the time. Please do not give your Paradise Orders credentials to your customer. How do I send a new photo for a proof? Do I need to submit a new order? No – let’s keep that order going. First reject the last proof and tell us in the notes that you’ll be sending a new photo. When you are ready, send the new photo image in e-mail to us at: orders@paradiseorders.com and reference the web order number and we’ll get started on your next proof. What if I’m unsure about the quality of the image I’m sending you? We’ll look at it for you before you place your order. Just send the image file to our orders desk at: orders@paradiseorders.com and tell us what size you are planning to order and we’ll send you comments back via e-mail. If we receive an image in an order that will degrade beyond what you see in the original file, we’ll let you know before proceeding with the order. Can you change my photo from Color to Black and White? Yes. We’ll do it at no charge. My photo needs a touch up - can you do it? You bet! We're experts in this area and all photos are cleaned up at no extra cost. Can I get the background of my photograph changed? Yes. We will replace the background with a photo canvas like those used in portrait studios. See our background choices page or send us a color sample of what you would like for the background. Background removals are done at no-charge. What are my Background options? See our backgrounds on our Backgrounds Page and if you ‘d like something custom, send or upload to us a color example and mention if you’d like a gradient or a mottled version of that color as your background. Do you charge extra to remove backgrounds? No. We haven't charged extra for background removal for a long time. I’m scanning my photo for submission to you, how would you like the files saved? Please scan the image at 300DPI and 100% of actual size. Even though we will most likely not use the entire photo, please scan the whole image. We may need something outside of your crop to fix something inside your crop. Please see our Photo Scan Tutorial video more suggestions. No. Our products are only available through qualified dealers. We actually have two. It’s full and comprehensive including vandalism on our products and we help you replace our competitor’s products also. Please have a look at our Guarantee page. What is the charge for a RUSH order? We don't charge for Rush Orders, but we do ask that you use our rush service only when absolutely necessary. What is your turn around time from reciept of my order to shipping my order? 95% of our orders are shipped within 10 working days from the time we receive it. Do you archive my images? Yes. We electronically archive all images so that if a replacement is necessary, we can re-make it quickly. Yes. We accept Visa and MasterCard. It's a great way to take care of our deposit requirement when sending in order via e-mail or using our online system. Get our Credit Card Form. Do you charge extra for VHB Tape? It is the same as your Customer Number. The best place to find it is in the upper right-hand corner of our invoice. But, you could always call us and we will be happy to provide it to you. No. We ship all our product priority mail at no additional charge. And, we don't charge for handling either. Yes. We can ship FedEx® billed to you at our cost or we can use your shipping number.